Welcome to My Mama Said, a vibrant Barre, Pilates and Yoga studio in Melbourne’s inner west. My Mama Said was born from a desire to break down stereotypes associated with boutique fitness studios. We are all inclusive; never exclusive. You will be welcomed no matter your size, shape, age, or cultural background. We promise kickin’ tunes, expert instructors and limited class sizes – yes we ensure the only sweat you feel is your own! Are you ready to find out how good your body can feel? 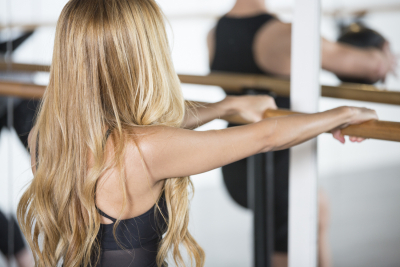 Long term results come from commitment and planning and our memberships allow you to book your classes in advance. Plus, you get loads of other benefits including discounts on workshops/masterclasses, invites to VIP nights, a free nutrition session, and free passes to share with your friends. Rise of the boutique studios: 5 reasons why you should ditch the masses and go boutique. Stop YANGing on to old habits. We stock a range of Mummactiv clothing designed to cater for your prenatal and postnatal needs. From nursing singlets, breastfeeding sports bras to supportive leggings this range is stylish and comfortable! These classes are designed using the best exercises from Barre, Pilates and Yoga to keep you & bubba in optimum health. Did you know we offer 3 x Prenatal Fitness classes and 2 x Mums & Bubs classes per week?